New York City is home to some of the world’s most iconic architecture—not to mention a skyline memorialized in countless films and television shows. 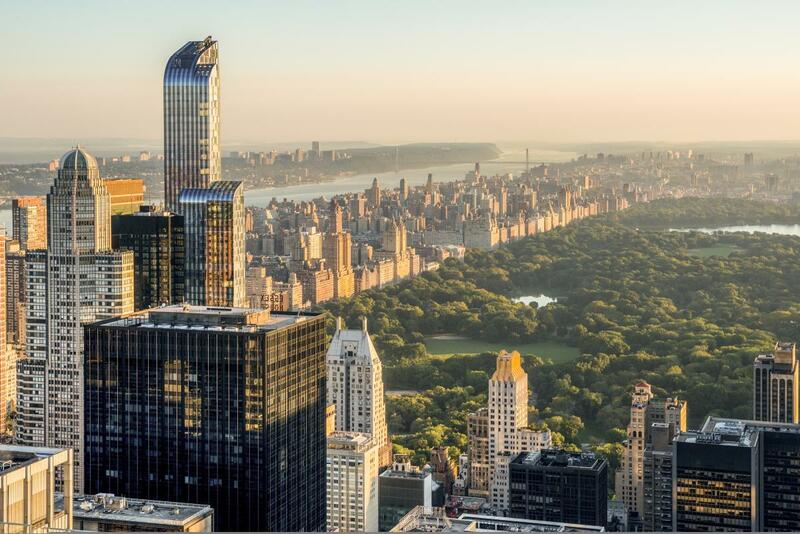 Here’s a guide to some of the best places for your clients to get a bird’s-eye view of the City. Empire State Building Observatory. Photo by Julienne Schaer. One of New York City’s most recognizable icons is the Empire State Building, the 1,454-foot-tall (443-meter) skyscraper that debuted on Fifth Avenue in 1931 as the tallest building in the world. A recently opened Art Deco-inspired guest entrance on 34th Street offers more space, organized flow, and hints of what will come from the next phase of the redevelopment of the landmark, which will be complete by the end of 2019. 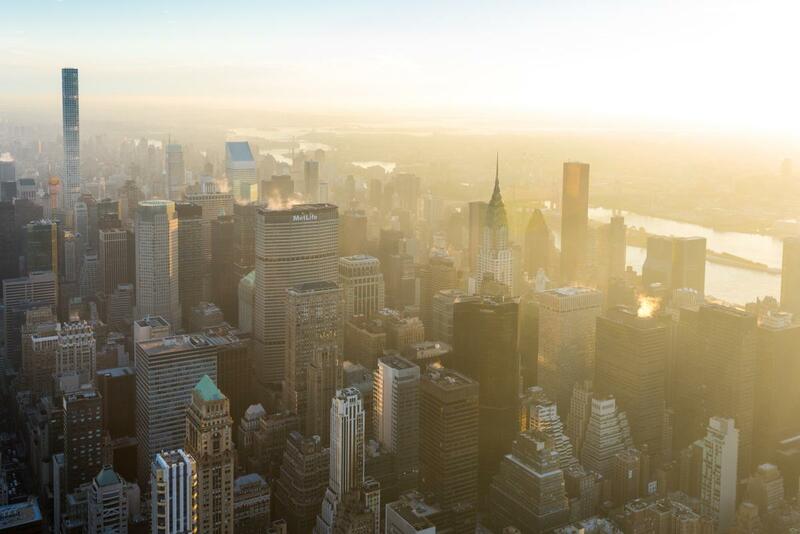 Your clients can also enjoy small-group admission to the 86th-floor observatory at sunrise, a once-in-a-lifetime experience. The Empire State Building is located just a few blocks from Macy’s Herald Square, the world’s largest department store—a shopping destination and attraction in its own right. Top of the Rock, Rockefeller Center. Photo by Julienne Schaer. Top of the Rock, located 16 blocks north of the Empire State Building at 30 Rockefeller Plaza, has three observation decks that offer outstanding 360-degree views of the City. The building also houses NBC Studios, where popular shows like Saturday Night Live and The Tonight Show Starring Jimmy Fallon are filmed. Photo courtesy of Haven Rooftop. No trip to New York City is complete without a visit to Times Square: night or day, visitors will see supersize electronic billboards, costumed performers and thousands of other tourists. Many of the City’s 40 Broadway theaters are located in or adjacent to Times Square, making it easy for your clients to take in dinner and a show. 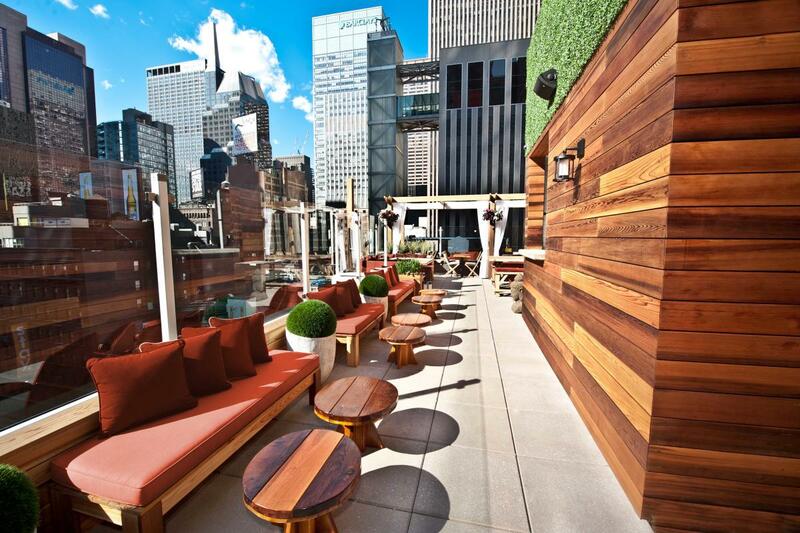 Haven Rooftop (a restaurant and bar perched atop the Sanctuary Hotel), The View (the New York Marriott Marquis’ revolving restaurant) and R Lounge (at the Renaissance New York Times Square) also offer gorgeous rooftop views of Times Square. One World Observatory. Photo by Tagger Yancey IV. At 1,776 feet, One World Trade Center is tallest skyscraper in the Western Hemisphere (and the fourth tallest in the world). 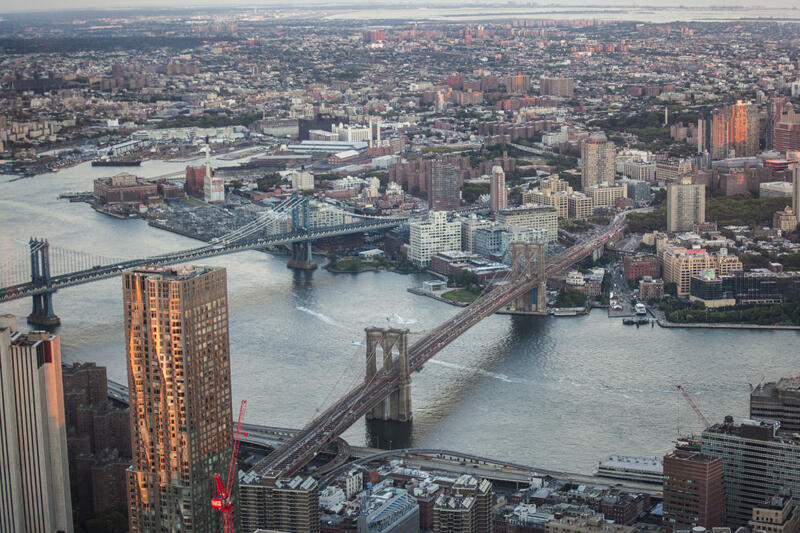 It’s also home to One World Observatory, where high-speed elevators transport sightseers to the 102nd floor, home to one of three decks offering unbeatable 360-degree views of the City and New York Harbor. Another fantastic way to take in the skyline is by riding the free Staten Island Ferry, which offers riders gorgeous views of the harbor and sails right past the Statue of Liberty during the 25-minute journey. Brooklyn Bridge Park. Photo by Julienne Schaer. 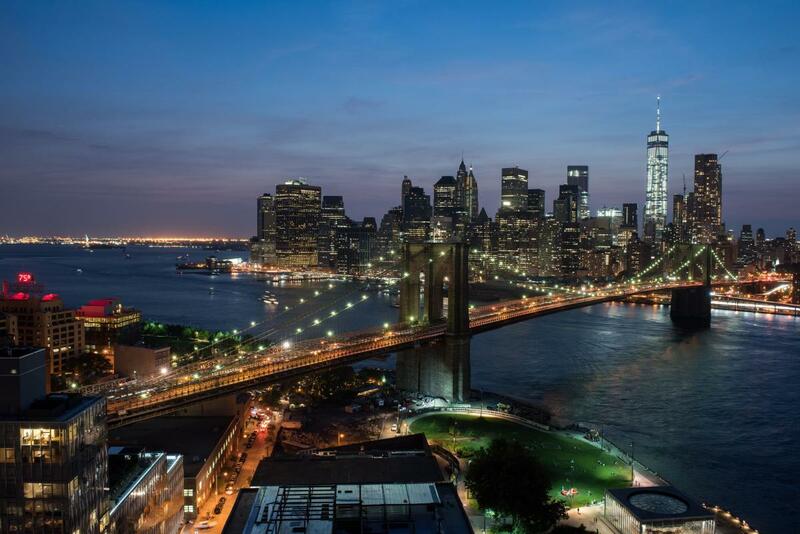 Eighty-five-acre Brooklyn Bridge Park, which sits at the foot of the bridge in Brooklyn Heights, affords visitors gorgeous views of the Manhattan skyline and is a popular spot for runners and picnickers.